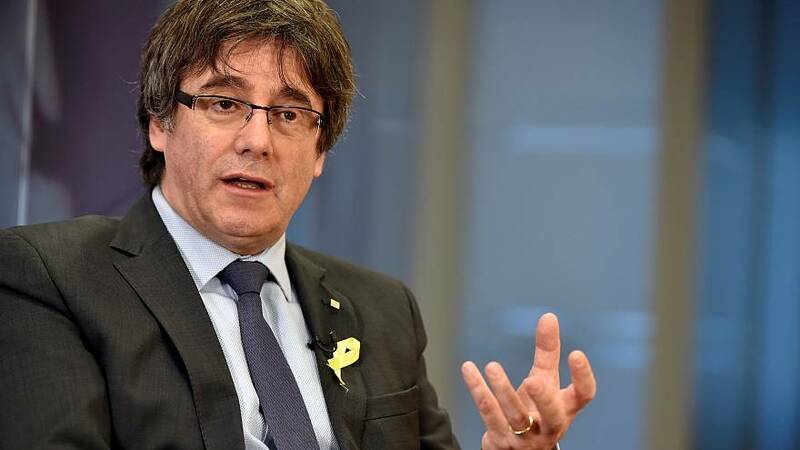 Catalonia's ousted leader Carles Puigdemont on Saturday urged Spanish Prime Minister Mariano Rajoy to accept the results of this month's regional election in which separatist parties won back a slim majority. "Democracy has spoken. Everyone has been able to express themselves. What is Rajoy waiting for to accept the results, to accept the will of the Catalans? "Next year, the-end-of-year speech of the Catalan president will be delivered in the only possible way: in the Catalan government building." The December 21 election failed to resolve Spain's biggest political crisis in decades, with Catalonia still deeply divided. Puigdemont faces arrest should he return, for organising an illegal independence referendum and proclaiming a Catalan republic. Rajoy has called for the new Catalan parliament to meet on January 17.